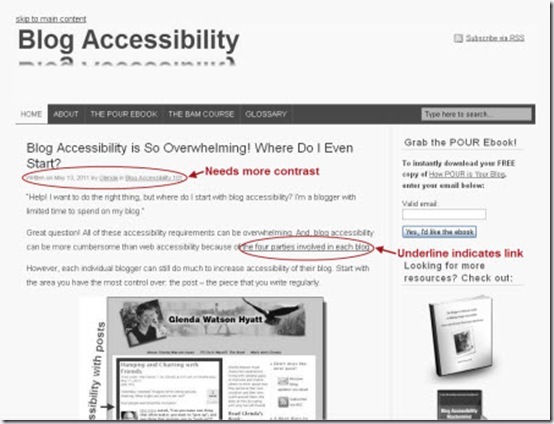 You Are Here: Home » Blog Accessibility Testing Tools » Does Stripping Your Blog of Colour Leave It Readable? 2 Responses to Does Stripping Your Blog of Colour Leave It Readable? I’ve had a website of one sort or another since 2000. One thing that has bugged me all these years is not having underlining for links. When I have control over that, I most definitely put the underline in. Unfortunately, with some of the plugins, that option isn’t available.